Fatorda (Goa), Dec 1: A sublime hat-trick by Spanish striker Ferran Corominas lifted FC Goa to a 4-3 victory over Bengaluru FC in a thrilling Indian Super League (ISL) season four encounter at the Fatorda Stadium here on Thursday. 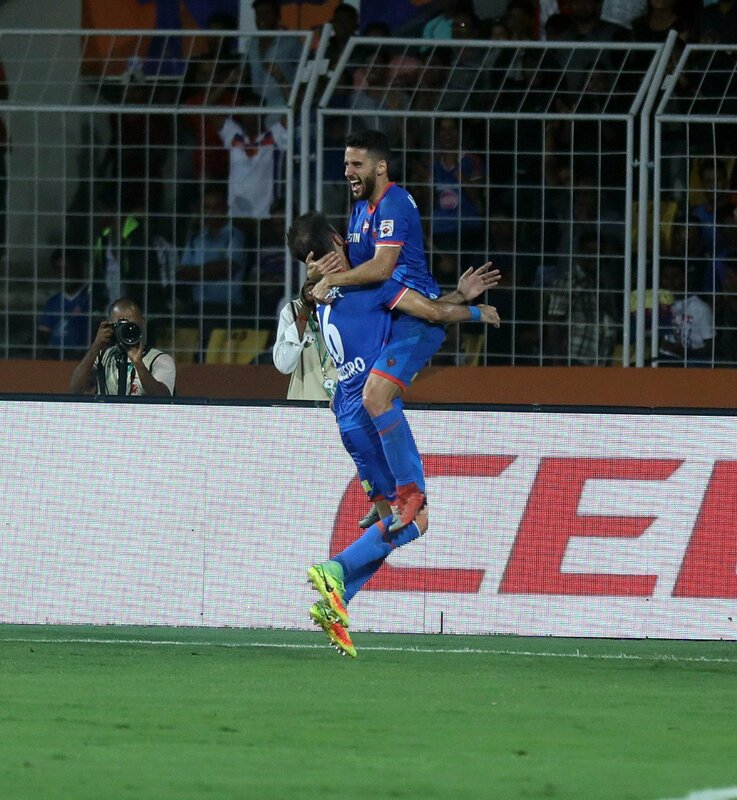 FC Goa opened the scoring through Ferran Corominas in the 16th minute. The Spanish forward latched on to the loose ball around the centre circle before dribbling past the Bengaluru FC defensive line to slot the ball into the back of the net. The goal evoked a quick response from the visitors. Just five minutes later, a lofted ball through by Erik Paartalu found Miku inside the box. The midfielder drilled his shot past goalkeeper Laxmikant Kattimani to level the scoreline. Sergio Lobera's men regained the lead at the half-hour mark. Manuel Lanzarote floated deep ball from a free kick, found Bruno Pinheiro, who headed it down for Corominas to do the rest. Then, Bengaluru FC suffered a double whammy in the 36th minute that completely changed the complexion of the game. Some sloppy passing deep inside their own half forced Bengaluru FC goalkeeper Gurpreet Singh into making a challenge at Lanzarote which he managed well. But his violent reaction afterward earned him red card and Goa were awarded a penalty. Lanzarote picked himself up to double the advantage from the spot for FC Goa. Two goals down and a man short, Bengaluru FC looked done and dusted at this stage. But Albert Roca's men staged a quick comeback in the second-half. Paartalu's thumping header from a corner in 57th minute cut down Goa's lead to just one. Three minutes later, Bengaluru were back on level terms. This time, it was Spanish midfielder Miku's turn to bamboozle FC Goa's defense before finishing off with a Messi like chip over the goalkeeper. However, Bengaluru FC's fairytale comeback story was cut short by Corominas. In the 63rd minute, Lanzarote again turned provider. His well-weighted through ball put the forward one on one with Bengaluru's replacement goalkeeper Abhra Mondal to seal all three points for the home side.